A strange and gifted 14-year-old Russian teen named Boriska claims to have been a Martian in his past life. Turned into a surprising object of study for scientists, he says that he, along with other children "Indigo", comes to fulfill an important mission on Earth, where they will help humanity to adapt to the energy changes that are taking place already those who will come in the near future. Or. At the age of 1 year and 5 months, Boriska could already read the covers of the newspapers, and at 2 he painted like an advanced student, being able to differentiate the colors and their nuances. When she entered kindergarten, her teachers were stunned by her talents and her particular way of thinking, as she always had an exceptional memory and an incredible capacity to retain and assimilate information. However, they soon noticed that the boy had been learning things "from somewhere else". At age 3, his interest in matters relating to the universe captivated his parents. "He was able to name all the planets of solar systems, and even his satellites. It filled my head with names and numbers of galaxies. At first I was quite frightened, I thought I was crazy, but then I decided to check if those names actually existed. I read some books on astronomy and was surprised to discover that my son knew so much", said Nadezhda, his mother. But it was at age 7 when the child began to unveil his own mystery, telling a captivating story. He told them about the Martian civilization, megalithic cities, their spacecraft, and flights to various planets, including Earth. According to his convincing tale, in a past life Boriska was a Mars pilot who was to follow our world in matters pertaining to trade between his nation and the departed continent of Lemuria which, according to legend, was located in the middle of the Pacific Ocean. The young man assures to know enough of that territory, because there would have had great friends there. 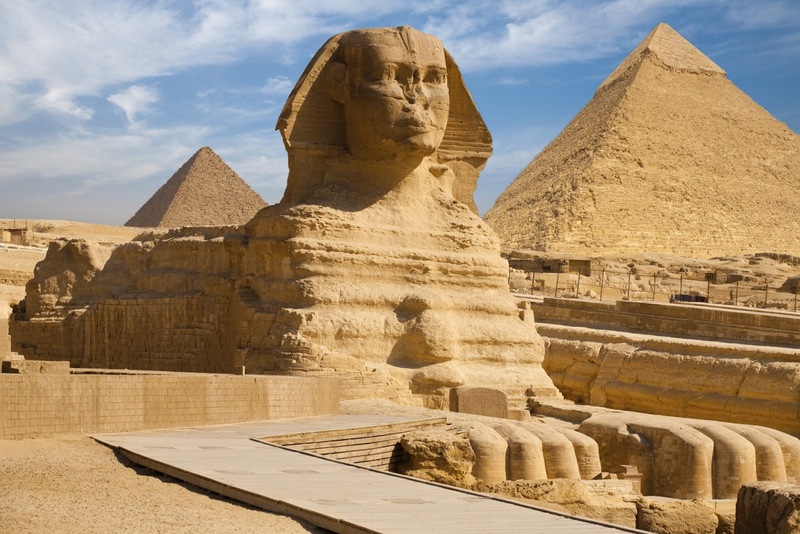 The ear of the Sphinx would be the route to knowledge. Boriska visualizes the whole fall of Lemuria as if it happened yesterday and mourns the death of his best friend, as if it were his fault. "An important catastrophe took place on Earth. A gigantic continent was consumed by stormy waters. Then, suddenly, a solid stone fell into a building. My friend was there, "he says, and he continues:" I could not save him. We are destined to meet once in this life. " When his mother asked him about the physical appearance of the Lemurians, he had no qualms about telling him that they were about 9 meters tall. All of them would have died in the catastrophe, which occurred about 800 thousand years ago. As for Mars, he claims that the average height of his village was 7 meters. However, contrary to what is believed, there was not one race on that planet, but there were several living together. Each village had its own spaceships, its own technologies and its way of thinking. It was thus that much of the population perished in a great nuclear war that destroyed its atmosphere. Now, he says the survivors are in the underground of the planet and breathe carbon dioxide. Boriska finally stated that humans will find knowledge under a pyramid, which has not yet been discovered. "Life will change once the Sphinx opens," he said, adding that this great Egyptian monument "has an opening mechanism somewhere behind its ear," though it does not exactly remember where. Specialists from the Institute of Earth Magnetism and Radio-waves of the Russian Academy of Sciences photographed the teenager's "aura", which turned out to be extraordinarily strong. "He has an orange spectrogram, which says that he is a cheerful person, of a powerful intellect," said one of the specialists.